LEIPZIG, GERMANY: Leipzig is one of the largest cities of Saxony in Germany. 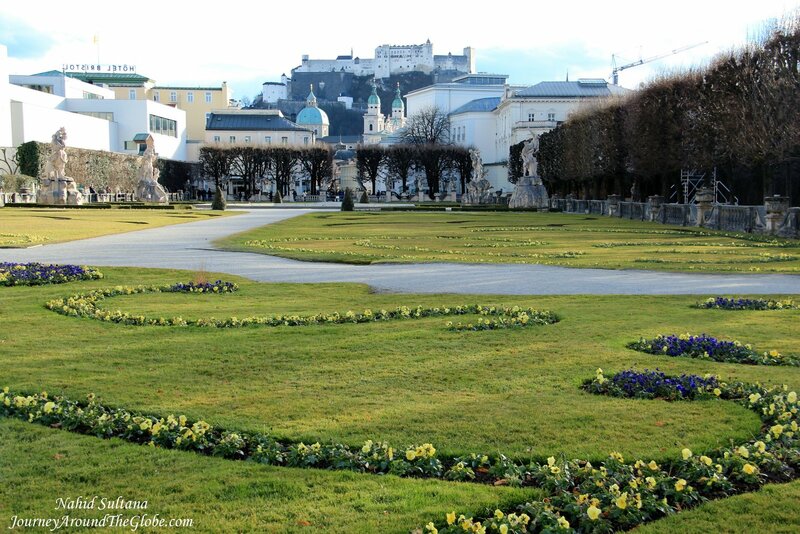 Honestly, I wasn’t that excited about coming here, especially after visiting cities like Salzburg and Prague in this trip. Yes, of course, the city is ultra-modern and its city center is an energetic and vibrant place to hang out. But when my husband told me that Leipzig is the city where classical music composer Bach was born, my enthusiasm came back right away. 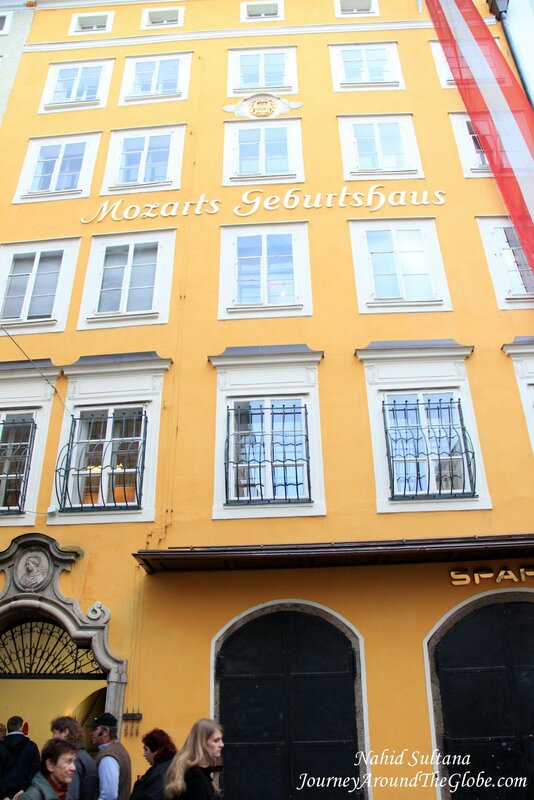 We saw Beethoven’s birthplace in Bonn, Germany few months ago and Mozart’s birthplace few years ago (also again in this trip in Salzburg, Austria). Visiting Bach’s birthplace was almost like an obligation to me. So, yes, Leipzig is the city of famous composer Johann Sebastian Bach. He was born here and spent 27 years of his life writing many of his most well-known music in this city. 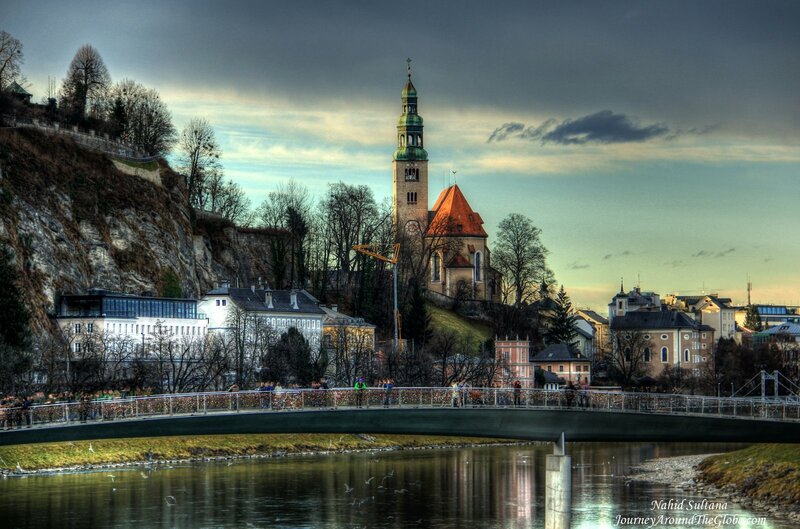 Bach’s main places of activity, St. Thomas Church and St. Nicholas Church are still standing in the main city center. 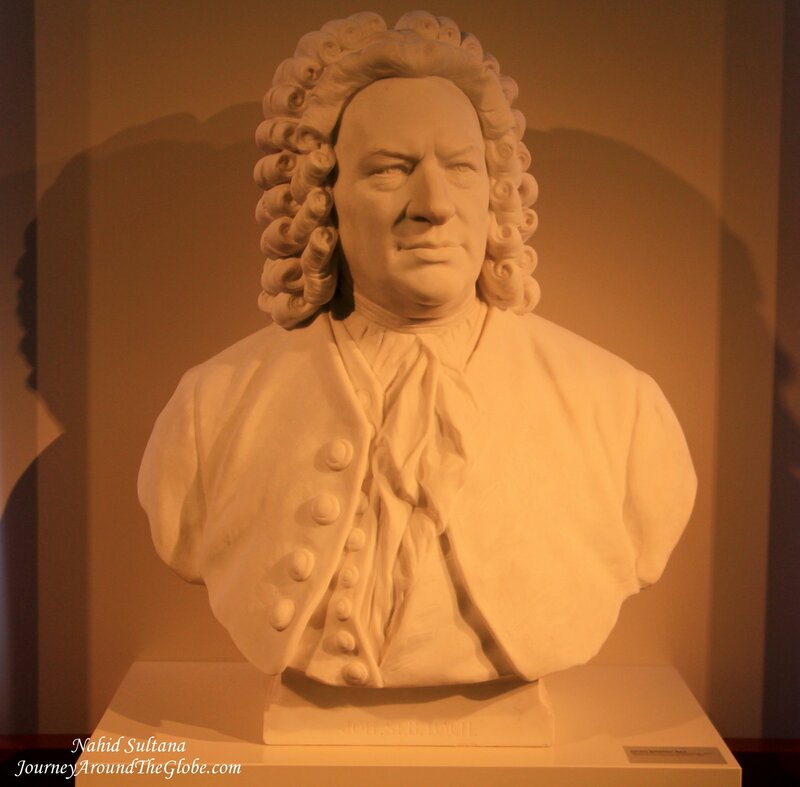 Bach Museum holds Bach Festival each year in Leipzig, may be a good time for the Bach fans to visit this city. Other than that Leipzig has Germany’s 2nd oldest university, The University of Leipzig, which was founded in 1409. The city also boasts for being the home of St. Nicholas Church (see below) which was the starting point of peaceful demonstrations against the communist regime which led to German Reunification. TIME of TRAVEL: After visiting Fussen (Germany), Innsbruck, Salzburg (Austria), Prague (Czech Republic), Dresden (Germany) during our Christmas road trip in 2013 we arrived in Leipzig, Germany. Weather was fantastic, not freezing cold which I was scared about traveling to Germany in December. OUR HOTEL: Our hotel in Leipzig was Novotel. It’s a well reputed hotel in Europe. We stayed in Novotel at different times in different cities. It was a fantastic location right across the main train station of Leipzig (Hauptabahnof) and only 5 minutes of walk from the city center. Hotel didn’t have free breakfast but had complementary Wi-Fi in the room. Bottom line is the location was good, especially with the kids. We could just walk across the street to the train station for many option of meal and breakfast. 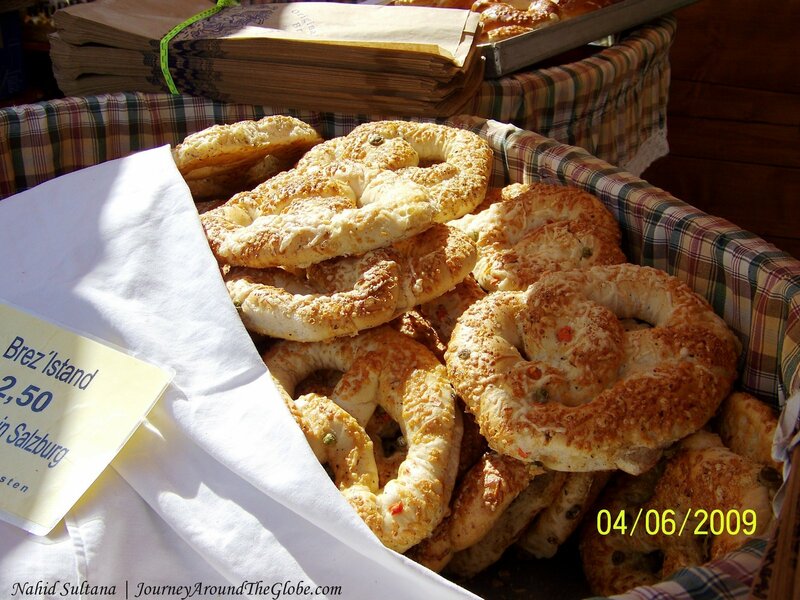 EATING and SHOPPING: We did couple of our meals in Leipzig train station or Hauptabahnof. Station had some good pastries shops, fast foods, Pizza Hut, local chains, and other good places to eat. On New Year’s day we had dinner in old town in an Indian restaurant called India Gate. Leipzig old town/city center has at least five Indian restaurants here and there…we had to try at least one from there. India Gate was very nice place and the food was good too. 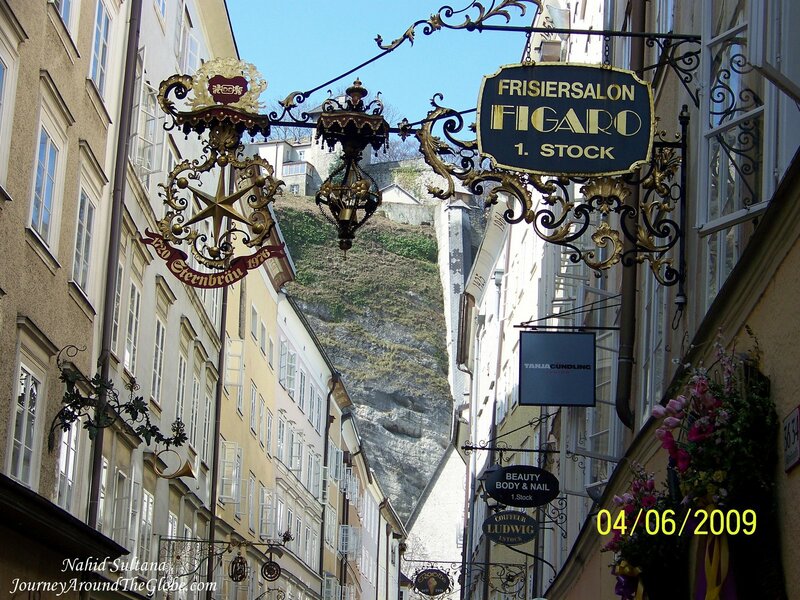 In old town, Grimmaische Strasse is a pedestrian street where tons and tons of stores are located. You can find brand name, local shops, boutique stores, and etc. on this street. 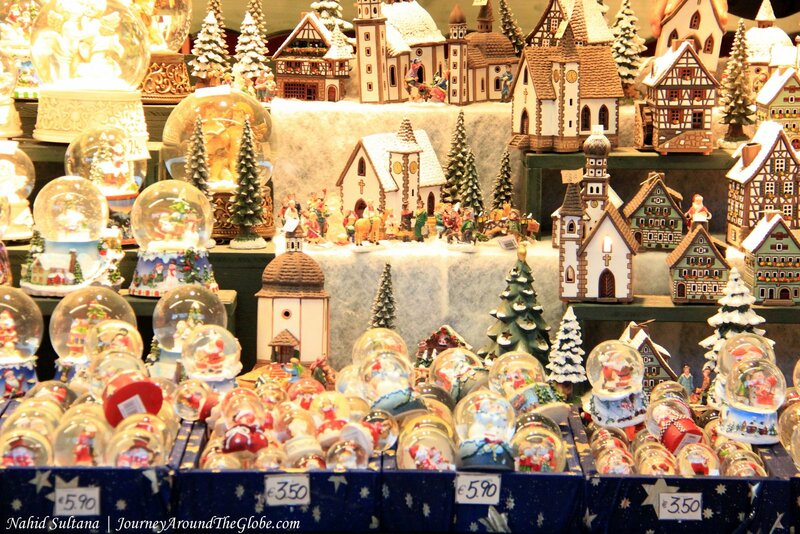 Even if you don’t do any shopping it’s nice to just walk around and look thru to do some window-shopping. Another place of shopping would be the main train station, Hauptabahnof. It is a station alright, but looked more like a gorgeous shopping mall to me. Something special to buy from Leipzig is Bach’s CDs and other souvenirs related to him. I bought a Bach CD from Bach Museum. 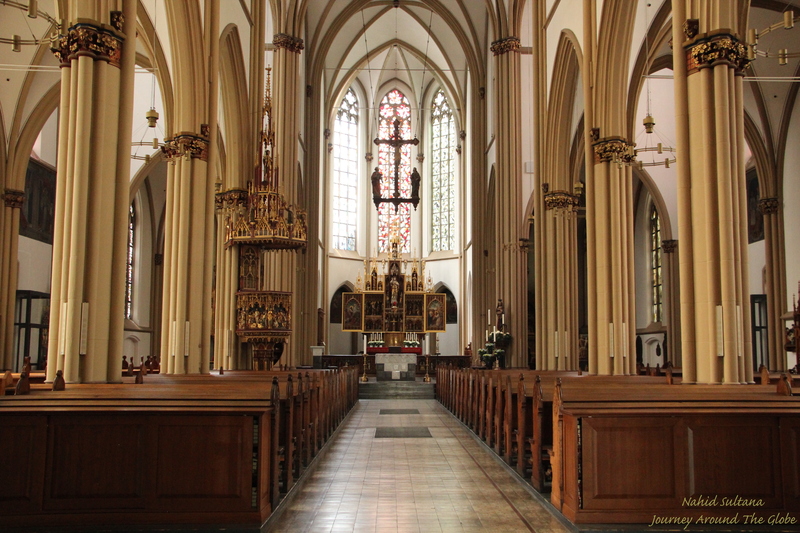 PLACES WE’VE VISITED: We spent about a day and half in Leipzig. We could have done it in a day but Bach Museum was closed on the New Year’s Eve, so we had to wait ‘til the next day to visit it, after all it would be a crime to leave Leipzig without visiting his museum. The city center or old town of Leipzig has a modern look with some old buildings standing shoulder to shoulder with many new architectures. 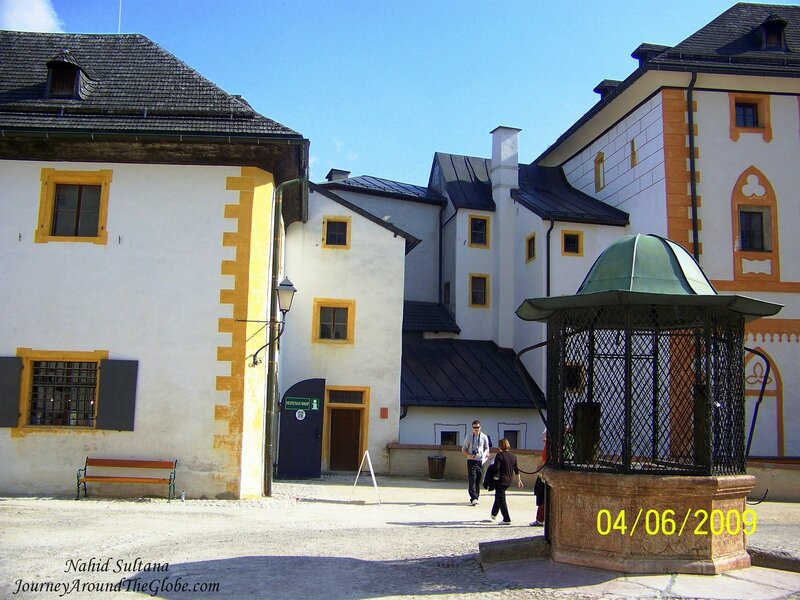 These historical buildings were mostly constructed by the merchants in the old days. Old town is not that big and we covered it on foot. 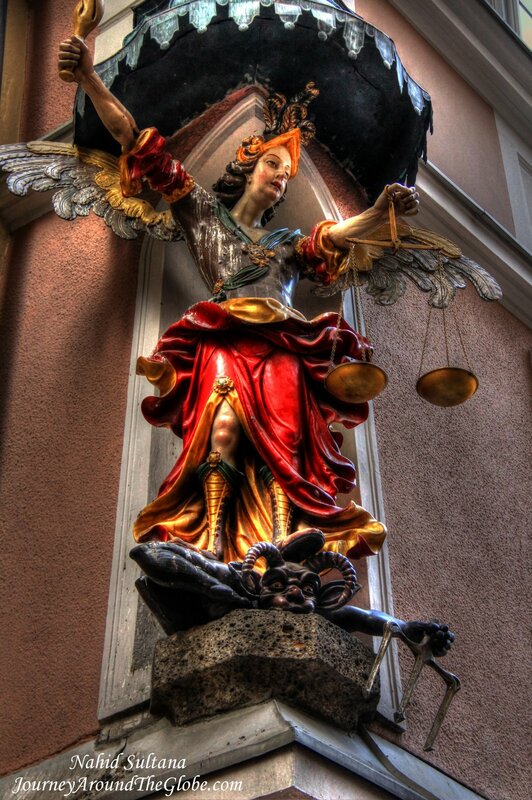 1) ST. NICHOLAS CHURCH or NIKOLAIKIRCHE: As I mentioned above, St. Nicholas Church was the starting point of a peaceful demonstrations against the communist regime which led to German Reunification in 1989. 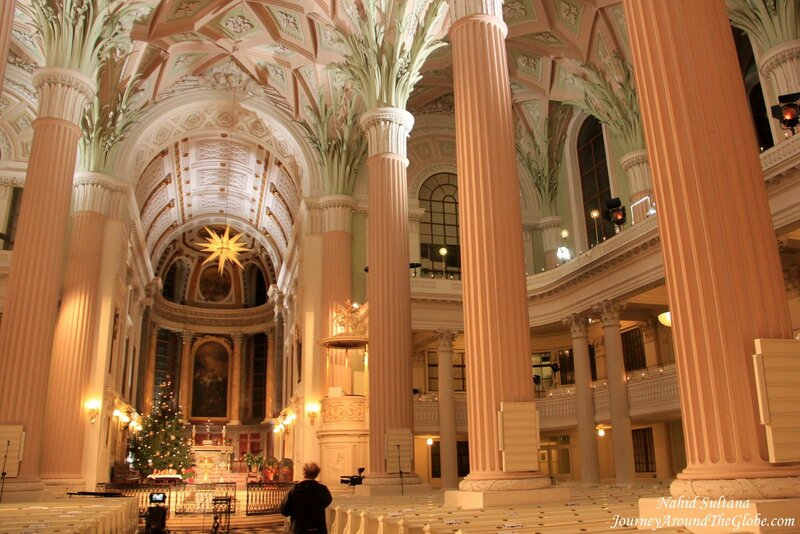 It is that historic church also where Johann Sebastian Bach performed regularly during his lifetime. 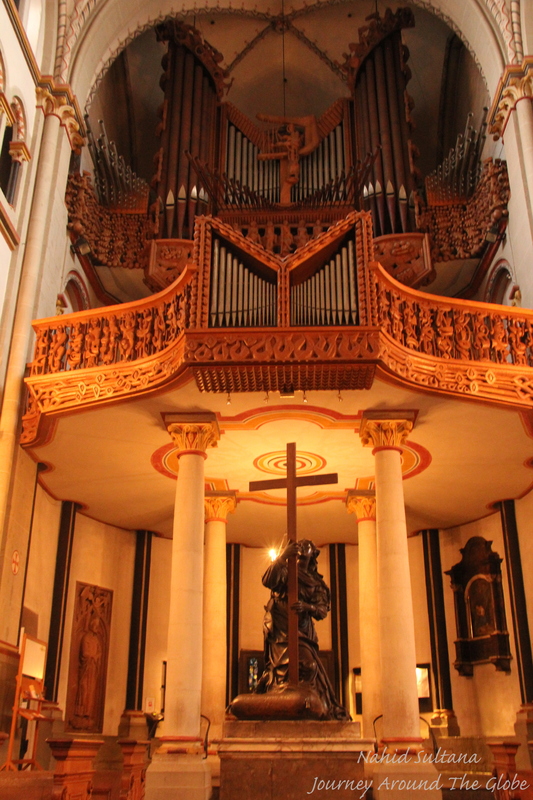 Nikolaikirche is the largest church in Leipzig with the biggest organ in whole of Saxony. But other than all these historical stats, this is an elegant looking church. From outside, you may not think so, but inside is sophisticatedly decorated and looks more contemporary than other German churches…a must-see place in Leipzig. 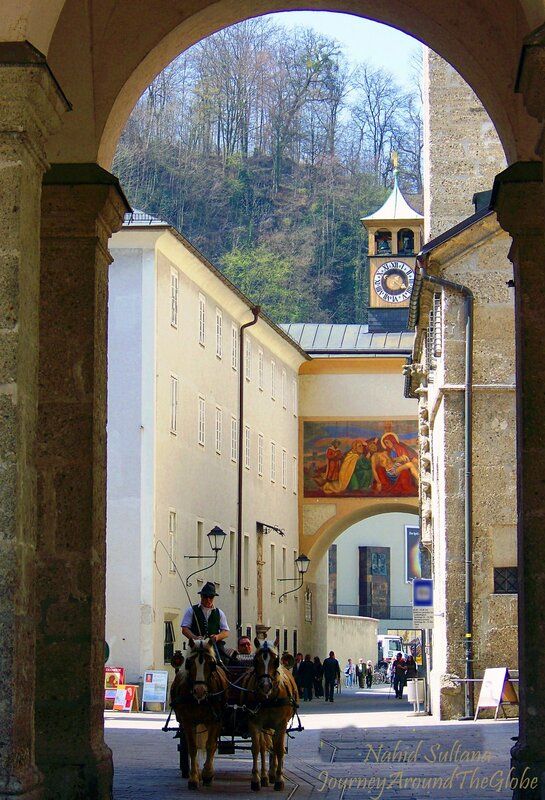 The church is located on the pedestrian zone of old town on Nikolaistrasse. 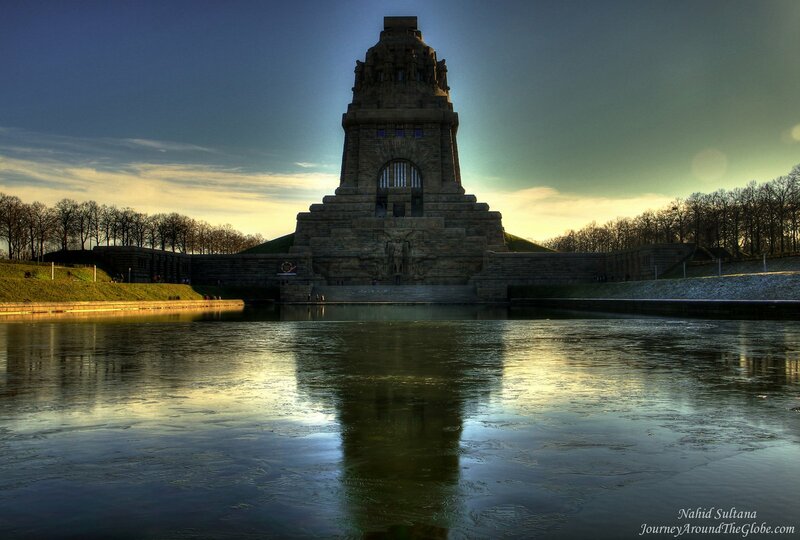 2) BATTLE of the NATIONS MONUMENT or VOLKERSCHLACHTDENKMAL: Built in 1813, this is the biggest monument in Europe. It commemorates the great Battle of Leipzig of the Napoleonic Wars where Napoleon was defeated at the cost of 100,000 lives. You can’t leave Leipzig without visiting this. Since we went there on the January 1st, everything was closed. We only walked around the monument and went up the stairs just to look around from outside. When open, tourists can visit its upper observation platform, the dome, different galleries, hall of fame, and crypt. There are many steps to climb but if you can go all the way to top a fantastic view awaits as a reward. We took tram #15 from Hauptabahnof (Leipzig’s main train station) to go there. After 8/9 stations, we got off at Meusdorf. There is a ticket to enter the museum and go inside the monument. 3) AUGUSTUSPLATZ: This is more like a modern shopping district in city center. You can see a nice blend of old and new buildings here. We came here both during day and at night and it’s a lively square to hang out anytime of the day. 4) MARKT: This is a big square on Grimmaische Strasse where old town hall still stands. The old town hall houses some shops now. 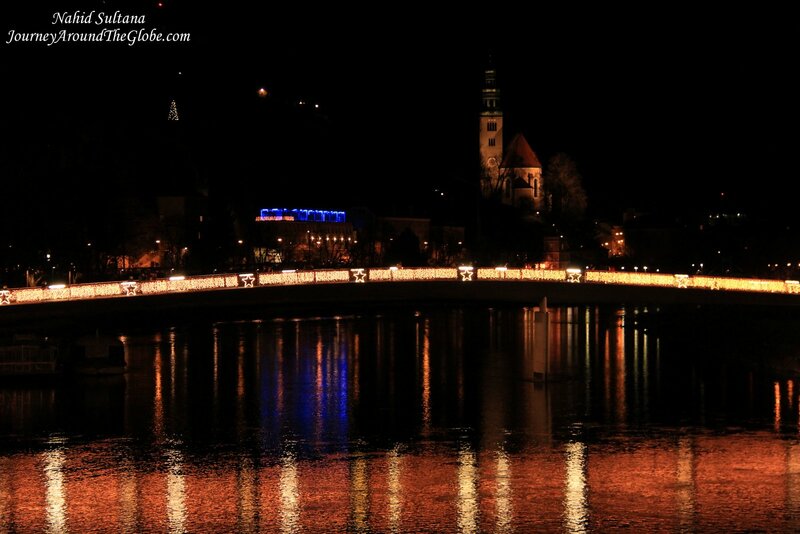 Christmas lightings looked fantastic at night. 5) BACH MUSEUM: Few steps further from Markt is Bach Museum. The building of Bach Museum once used to be the residence of Bose family in St. Thomas Square. They were affluent merchants of Leipzig back then and very close friends of the Bachs. Bach family lived in St. Thomas School which stood right across from the museum until it was demolished in 1902. 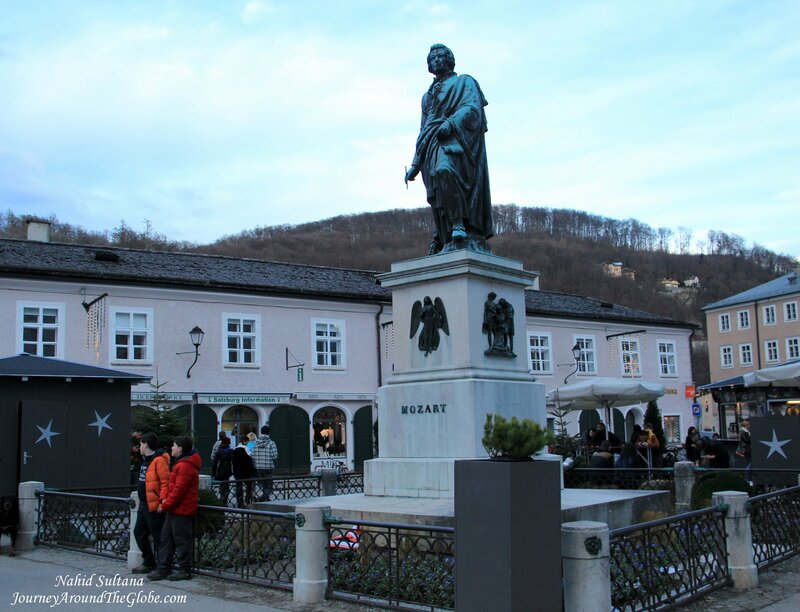 Bach was from a renowned music family and for 27 years this square was Bach’s immediate environment. This is where he composed many of his most significant works. The museum gives a detailed account of the life, childhood, career as a musician, stories, and works of Johann Sebastian Bach. The permanent exhibition conveys a vivid impression of his music and displays original Bach manuscripts. Bach appreciated no other musical instrument as he did the organ; he was an organ expert. Among the most interesting exhibits is the organ console from the St. John’s Church is the last relic of a Bach organ in Leipzig. Bach himself played it in the year 1743. Visit a double bass that was part of his orchestra and an iron chest – the only surviving piece of furniture from Bach’s household. 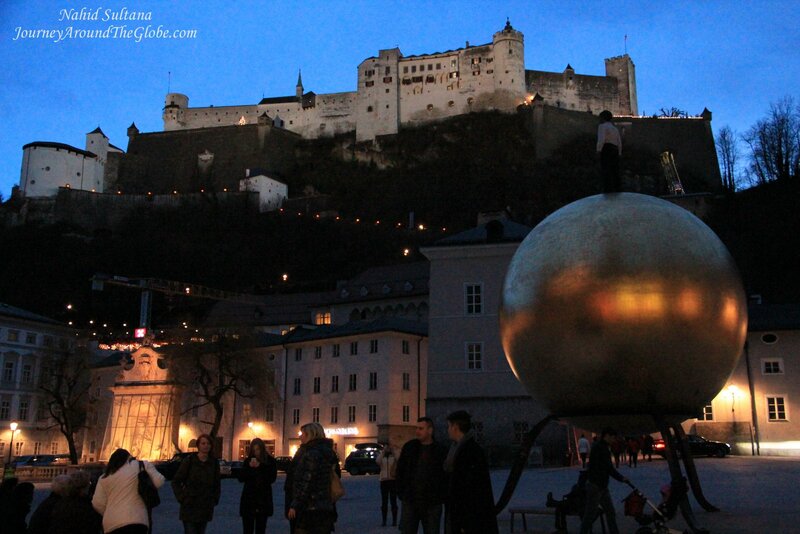 A special highlight of the museum is the treasure chamber in which original Bach manuscripts are on display. There are few listening booths in the museum to immerse yourself in Bach’s music. Every single one of his compositions can be called up from the media stations. Get acquainted with Baroque musical instruments and their specific timbres in his museum. The museum is open from Tuesday to Sunday from 10am – 6pm. Ticket is 8 euros per adult, children under 16 are free. It includes audio guide. It’s not permissible to take any photos inside. 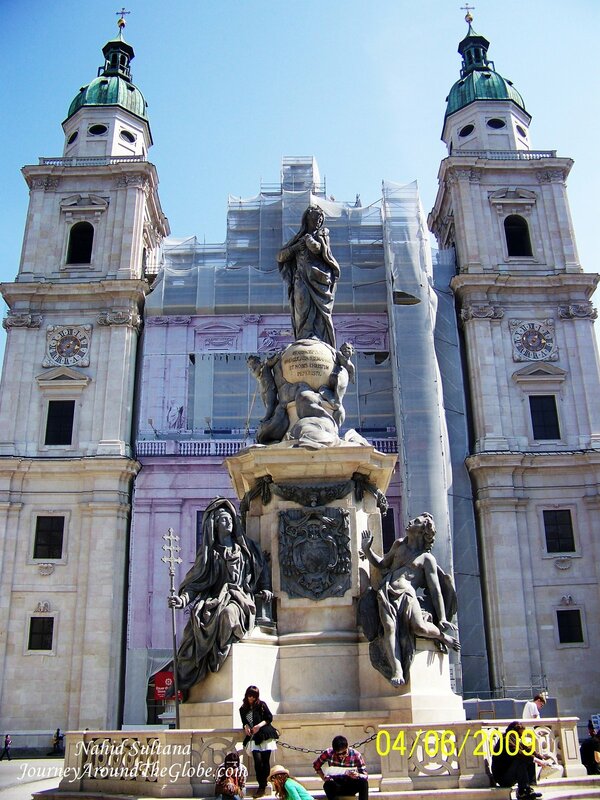 6) ST. THOMAS CHURCH or THOMASKIRCHE: Opposite of Bach Museum is St. Thomas Church in St. Thomas Square. From 1723 until his death in 1750, Johann Sebastian Bach was the highest ranking musician in Leipzig as Director and cantor at St. Thomas. As part of his official duties, Bach was responsible for the musical education of the boys at St. Thomas School and for the music in services at the two main churches – St. Thomas and St. Nicholas – as well as the New Church (later called St. Matthew) and St. Peter’s Church. He used to perform here every other Sunday with his choir and orchestra. With his second wife, Bach lived in the old St. Thomas School on the churchyard and went to this church for confession and to receive Holy Communion. 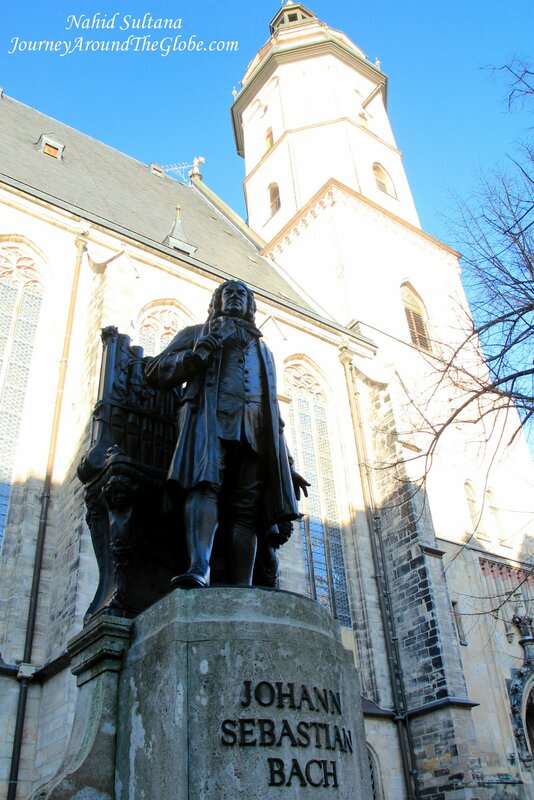 A life-size statue of Bach in front of the church stands to commemorate his time in this church. St. Thomas is a simple church but highlight of it is that it houses the tomb of Bach. His remains are buried under a bronze epitaph near the altar. On 28th July 1750, Bach dies in Leipzig. He was originally buried in the hospital cemetery of St. John’s Church. In 1949 the mortal remains of Johann Sebastian Bach were transferred to this church from the ruins of the St. John’s Church which was destroyed during WWII. 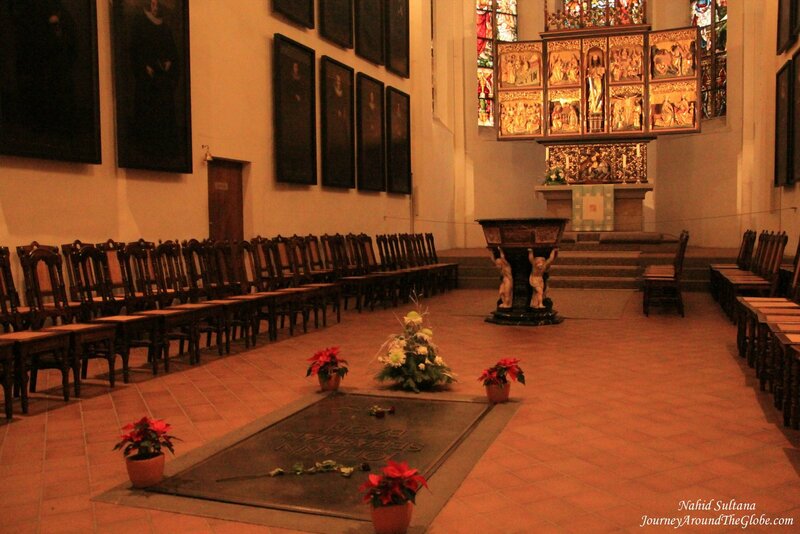 In 1950 Bach’s grave was erected in the chancel to commemorate the 200th anniversary of the death of St. Thomas’ greatest choirmaster. When we went there a group of musicians were practicing some music composed by Bach for a concert that night. 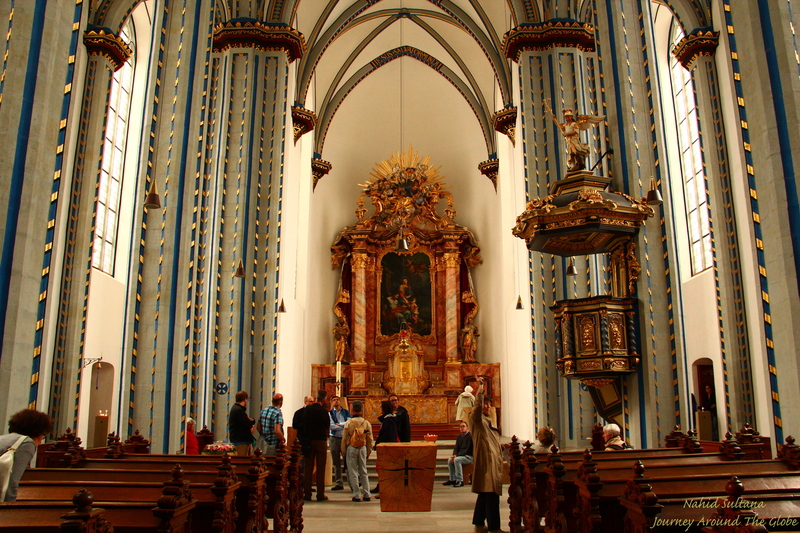 The interior of St. Thomas Church as it existed in Bach’s times has been removed almost entirely. Currently, the church has a splendid cross ribbed vaulted ceiling. 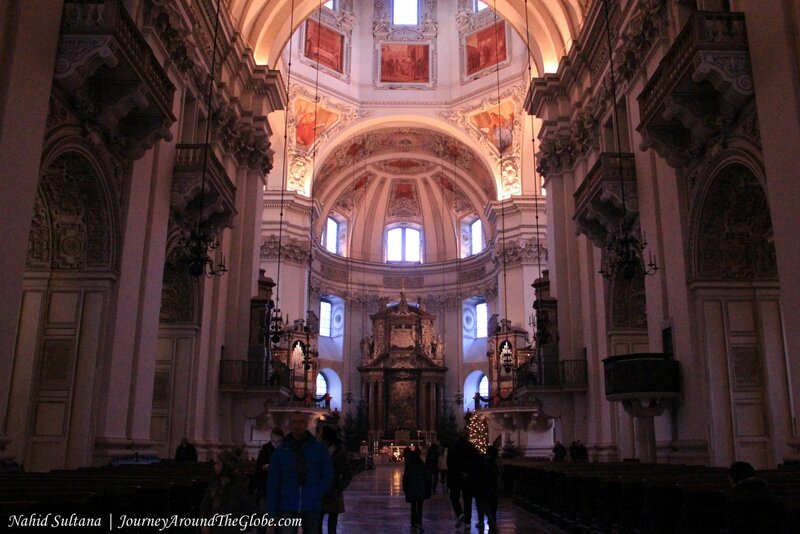 The organ here is known as Bach Organ and has an impressive acoustics. One of the windows on the southern side of Gothic triple-nave basilica is called Bach Window. Built in 1895, it is a part of the five memorial windows of this church. 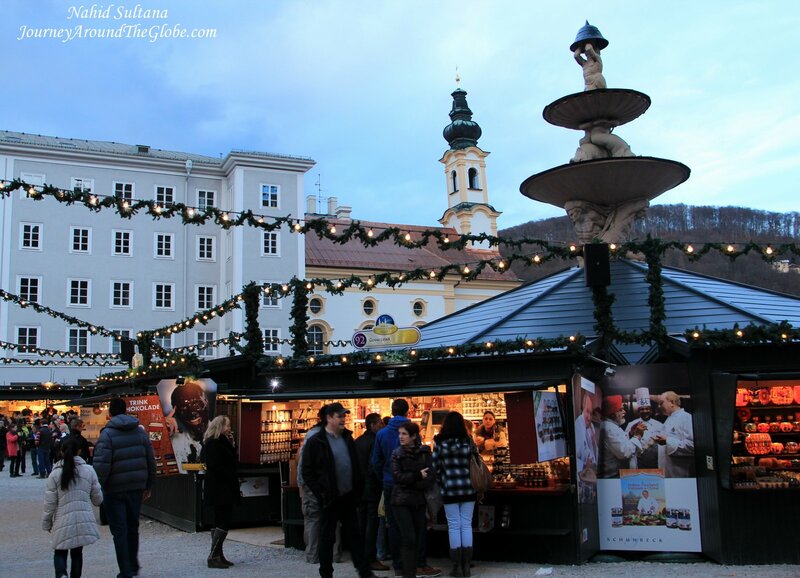 The church is located opposite to Bach Museum in St. Thomas Square and there is no fee to enter the church. Buying tickets ahead of time is recommended if you are interested in any of the concerts that the church holds every now and then. BONN, GERMANY: Situated by River Rhine, Bonn is the former capital of West Germany. 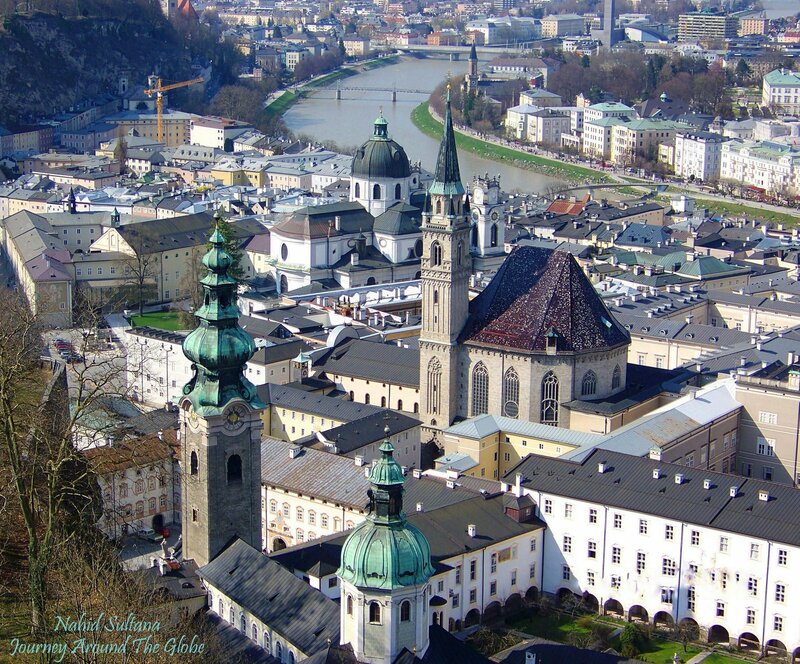 But it is best known for being the birthplace of one of the famous composers of all time, Ludwig van Beethoven, despite his utmost disgust towards his hometown. For its rich culture and admiring atmosphere, Bonn makes a great day trip from nearby cities like Dusseldorf, Cologne, or Frankfurt. TIME of TRAVEL: We visited Bonn in the first week of May 2013 while we were visiting other nearby cities in Germany like Dusseldorf, Frankfurt, and Heidelberg. The day turned out to be a nice one. Although little bit of cold and cloudy at times but luckily didn’t get any rain. EATING and SHOPPING: After searching for a good restaurant to eat, we ended up having Sri Lankan food from a cart in Marktplatz. There is McDonald’s, Pizza Hut, and other quick places in and around Marktplatz. Unlike other city centers, we didn’t see any place packed with restaurants here in Bonn, maybe we weren’t looking at the right place. Bonn is very proud of its talented son Beethoven. You will find many souvenirs and other gifts items with his picture on it, as well as his composed music on CDs. City center is the hub for shopping and has almost all the popular stores along with many unique local places. 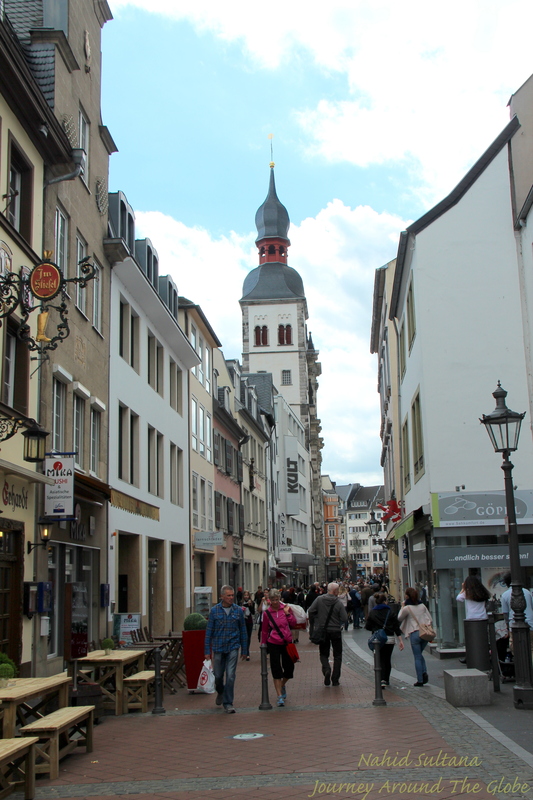 PLACES WE’VE VISITED: We stopped in Bonn while driving from Dusseldorf to Frankfurt. 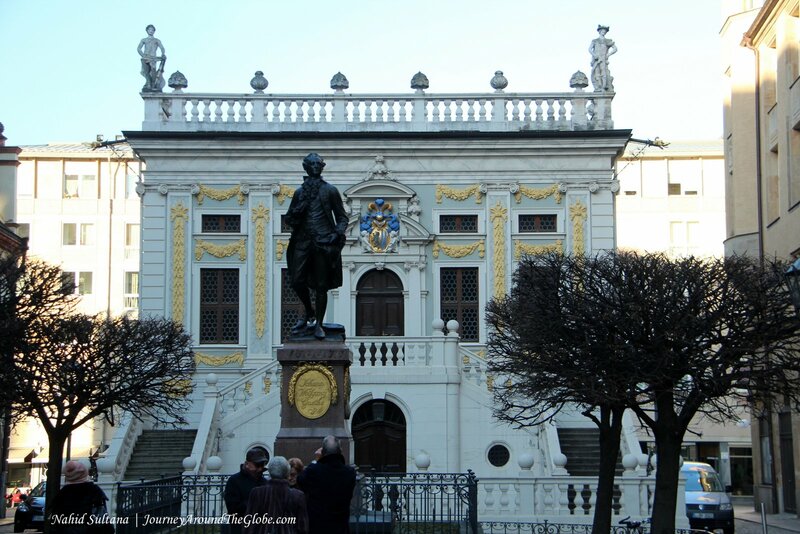 Our main interest was to see Beethoven’s house and museum but we ended up spending few hours in its city center. Other than the following places, we drove by two important buildings of Bonn while heading towards Frankfurt. First one was Villa Hammerschmidt which served as the residence of the German president when Bonn was the capital of West Germany, presently this is the secondary residence of the president. Second one was Palais Schaumburg, which was office of Germany’s chancellor and today it is used as a secondary headquarters for the chancellor. 1) STIFTSKIRCHE (COLLEGIATE CHURCH): Its bold brick exterior attracted us from outside, so we decided to check it out from inside. But the church was closed, only could peak thru and take some pictures from the other side of the gate. The church is located near City center but not inside the pedestrian zone. 2) BEETHOVEN-HAUS: Visiting this museum was our primary purpose of visiting Bonn. 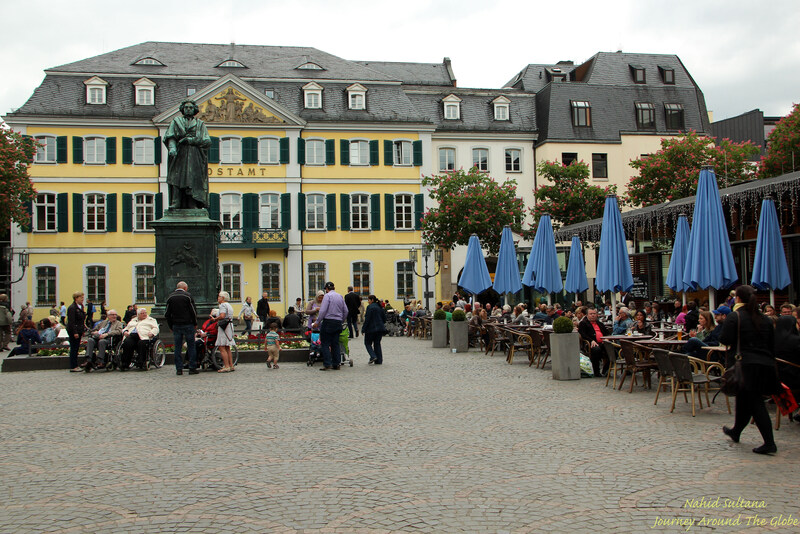 As I mentioned before, Bonn is the birthplace of Ludwig van Beethoven…one of the great composers of all time. Beethovan-Haus is the house where he was born in 1770 and is now a museum dedicated to his work and life. 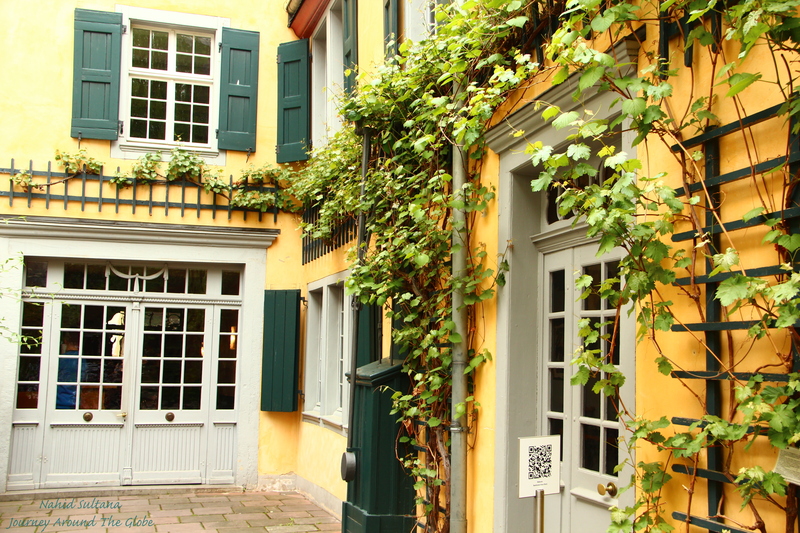 The Beethoven family lived for some years in this yellow house which today houses the world’s largest Beethoven collection with more than 150 original documents from the time he spent in Bonn and Vienna. His handwritings, music notes, instruments, and many of his belongings are in display here. The museum is well worth the visit and definitely a historical landmark of the city. The museum is located in the city center. There are few levels to explore in the museum and took us about an hour for the tour. No photos are allowed inside the house but we could take some picture in the garden and the courtyard. Ticket is 5 euros per adult and 10 euros per family (with 2 kids and 2 adults). Opening hours are 10 – 6:30 pm everyday and 11 – 6:30 pm on Sundays. 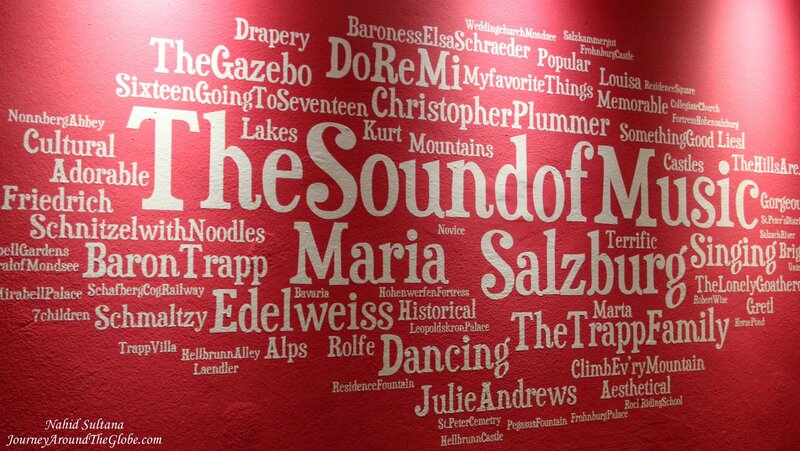 Everything in the museum is in German, we took English audio guide for 2 euros which is a must for non-Germans. 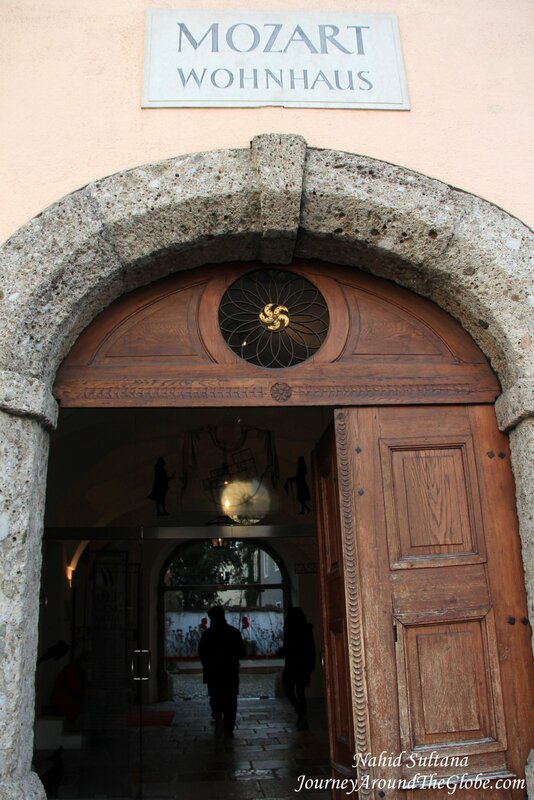 3) STIFTUNG-NAMEN-JESU-KIRCHE (CHURCH of the HOLY NAME of JESUS): This is a must-see church in Bonn. The interior design is very different from any other churches we’ve seen so far. The columns and ceiling decorated with blue, grey, and golden paints gave this church that unique look. 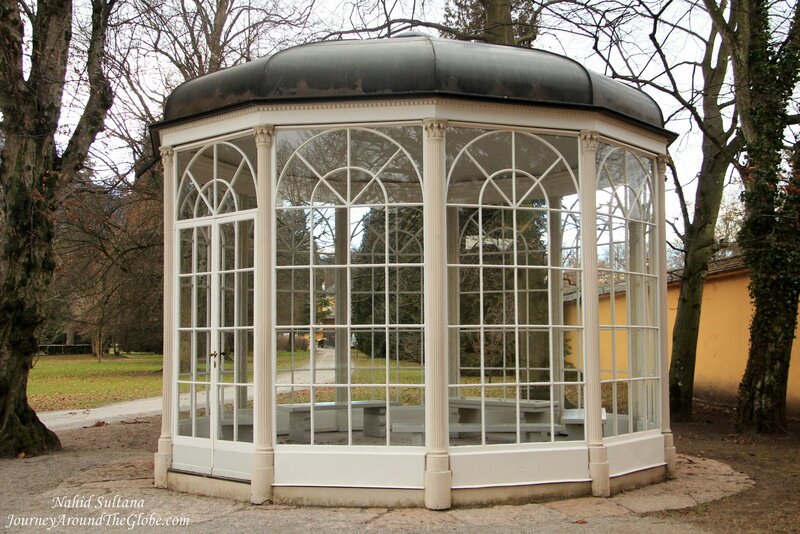 It’s free to enter and is located in city center very close to Beethoven-Haus. 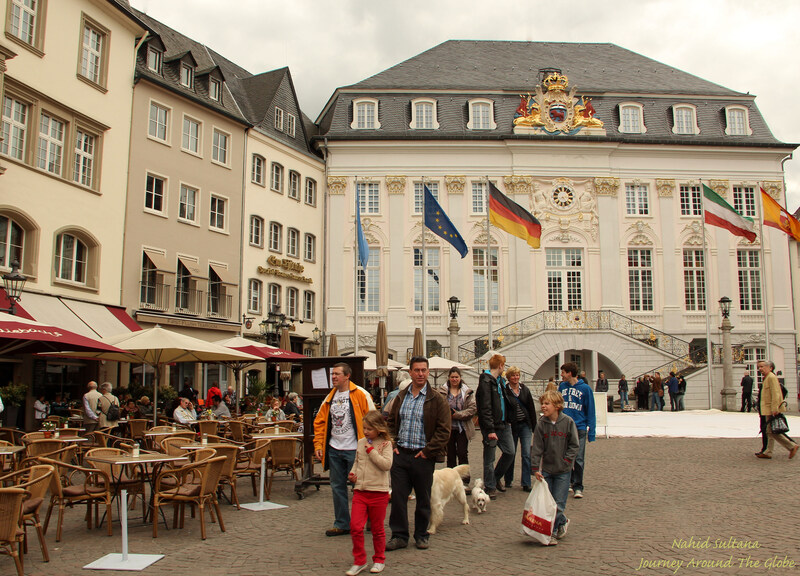 4) MUNSTERPLATZ and DAS BONNER MUNSTER: Munsterplatz is a big square in Bonn’s city center. A statue of Ludwig van Beethoven in front of beautiful post office adds boldness to this place. Das Bonner Munster is a beautiful Romanesque basilica in Munsterplatz. This is one of the oldest churches in Germany, dating back to the 13th century. The basilica is beautiful inside and outside. Main altar is extravagant and very ornate. Nicely curved huge organ is also notable in this church. 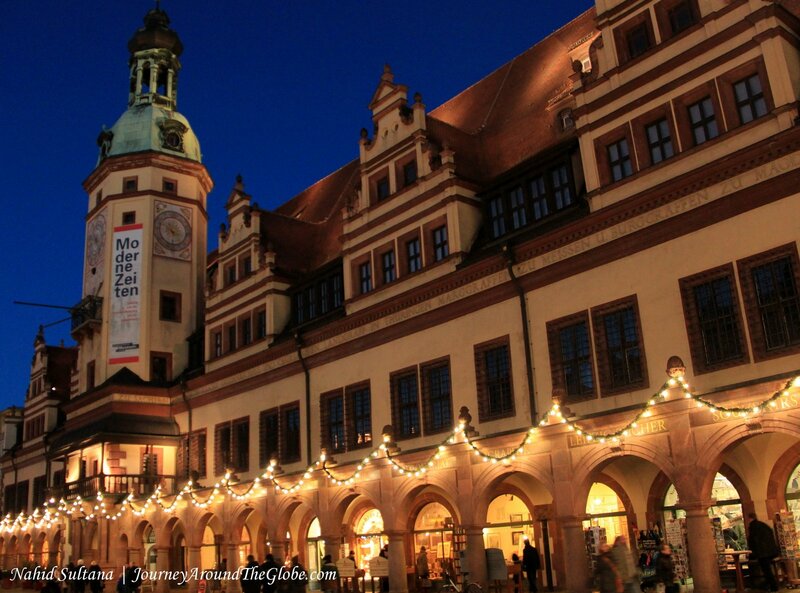 5) MARKTPLATZ and ALTES RATHAUS (OLD TOWN HALL): Marktplatz is probably the liveliest square/place in the city center. Surrounded by many shops, cafes, restaurants this is THE place to hang out and watch locals pass by. There was a farmer’s market when we went there on a Friday and was open as late as 4pm. Marktplatz houses Altes Rathaus or old town hall of Bonn. This is an elegant white building at one end of the square.